Most drivers know that carrying proper auto insurance is part of being a responsible, prepared driver. Unfortunately, though, many drivers don’t understand some of the basic insurance coverage options that can protect them in the event of a serious collision — and insurance companies aren’t always out to help them in this regard. Learning about your auto insurance coverage options and using that knowledge to make savvy, sensible decisions can go a long way toward preventing stress and regret in the event of a crash. In this article, we’ll discuss two important ways that Maryland drivers can protect themselves with auto insurance: personal injury protection (PIP) coverage and uninsured/underinsured motorist coverage (UM or UIM). Personal injury protection (PIP) is a type of auto insurance coverage that provides benefits for lost wages (up to 85 percent), medical bills, and other injury-related expenses that result from an auto accident. PIP coverage is not fault-based, so PIP benefits will cover your out-of-pocket losses from a crash regardless of whose actions caused it. The minimum amount of PIP coverage in Maryland is $2,500, and coverage is typically between $2,500 and $5,000, although some policies offer higher limits. When purchasing PIP coverage, you can also elect to choose full coverage (which provides benefits for you, any member of your family, and any occupants in your vehicle) or limited coverage (which excludes benefits for you and members of your family who are 16 or older). PIP coverage is not very expensive — typically, it costs drivers between $50 and $100 a year, and your auto insurance rates will not go up if you use your PIP benefits. However, many drivers don’t understand the value of this coverage, and when they’re prompted to waive PIP coverage, they see an opportunity to reduce their bill by a few dollars simply by checking a box. Insurance companies rarely go out of their way to correct this problem and educate consumers about PIP coverage because it doesn’t increase their profits. If you’re injured in an accident and receive $2,500 in PIP benefits to cover your out-of-pocket expenses, you can still file a claim with the other driver’s insurance and recover an additional $2,500 for those same expenses if their negligence caused the accident. This means that the “bad guy” does not get the benefit of your insurance coverage. This is very rare in the world of insurance coverage, so drivers shouldn’t take it for granted! On the other hand, many drivers don’t realize that waiving PIP coverage will prevent them from receiving benefits from any other driver’s PIP coverage as well. This means that if you’re injured in another driver’s vehicle, and that driver has PIP coverage that covers occupants of their vehicle, you won’t be able to receive any benefits from that coverage if you’ve waived PIP coverage on your own policy. Essentially, if you waive PIP, you’ve waived it wherever you go. The bottom line regarding PIP coverage is that our attorneys at Pinder Plotkin always recommend against waiving it. It’s relatively inexpensive, it pays out relatively quickly after an accident, and the peace of mind and relief it can provide in the event that you’re injured in a crash far outweighs its cost. The purpose of your standard auto insurance coverage is to protect others on the road in the event that you cause an accident. 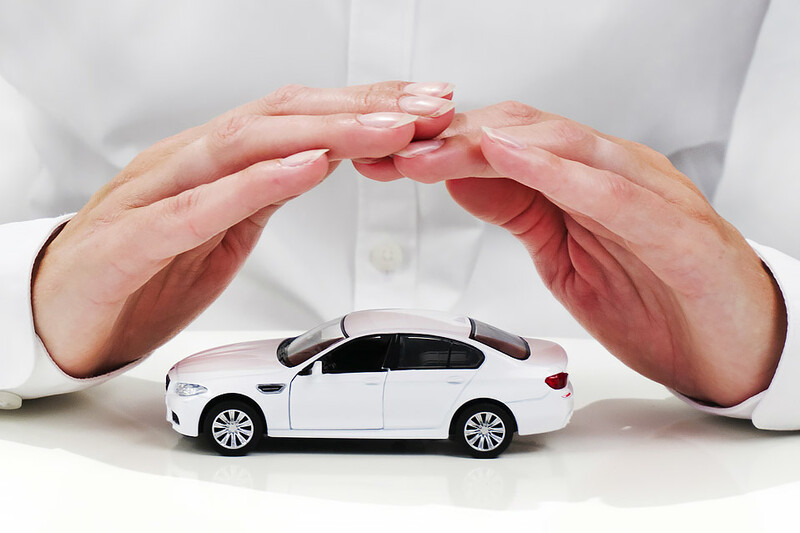 Uninsured and underinsured motorist (UM/UIM) coverage, however, is your opportunity to protect yourself. This coverage provides benefits for damages you suffer that are caused by an uninsured or underinsured driver — and it shouldn’t be taken for granted, even though far too many drivers do so. Despite the fact that the law requires all drivers to carry a minimum degree of auto insurance coverage, there will always be drivers on the road who break the law. And unfortunately, the law requiring drivers to carry insurance is one of the more difficult road regulations to enforce, since no one can tell if a vehicle is insured just by looking at it. In addition, many drivers carry legal-minimum policies that provide relatively little coverage. The minimum legal coverage for bodily injury liability in Maryland is $30,000, but the medical bills, lost wages and other expenses associated with a severe injury can add up to many times this amount — think hundreds of thousands of dollars. If a driver with no insurance or minimal insurance hits your vehicle and causes a severe injury, your lost wages and medical expenses could easily add up to far more than the limit of the other driver’s coverage. Uninjured and underinsured motorist coverage prevents you from being at the mercy of the other driver’s insurance, which can provide incredible relief in the event of a crash. Rather than being cut off from insurance compensation at the limit of the other driver’s policy, you can submit a claim to your own insurance and receive benefits for the remaining amount that the at-fault driver’s policy won’t cover. In addition, UM coverage also protects you in the event of a hit-and-run accident. If another drivers hits your vehicle and drives off, leaving behind injuries and/or property damage, your insurance policy will treat this in the same way as if you were hit by an uninsured driver and your UM coverage will kick in. Again, we find that far too many drivers waive additional coverage and choose to carry the minimum UM coverage without fully considering the benefits (at a very reasonable cost) of extra coverage. In general, our attorneys at Pinder Plotkin always advise our clients to carefully read over the documentation when purchasing insurance, including reading every box before they check. Many people don’t even realize they’re waiving important protections like PIP coverage and uninsured motorist coverage. In other cases, they waive coverage to reduce their insurance premiums — often by negligible amounts — without really understanding the consequences. The small amounts that these types of coverage add to your insurance premiums will seem like an incredible bargain in the event of a crash. Filing the claims associated with these types of coverage, though, can be a complicated process. In particular, with UM coverage, your insurance company actually steps in to act, for all intents and purposes, as the other driver’s insurer — which means that, just like in a typical auto accident, they have a financial motivation to deny your claim and will often attempt to do so. At Pinder Plotkin, we have years of experience representing clients in all aspects of auto accident law, including complex PIP and UM claims. If you’ve been injured in a collision in Maryland, we’re happy to explain your insurance coverage and your legal options. When you choose us to represent you, we’ll thoroughly investigate your claim to establish the causes of the crash and the losses you’ve suffered as a result, and we’ll let the insurance company know your claim needs to be taken seriously by advocating aggressively on your behalf. Between dealing with insurance claims and considering filing a personal injury lawsuit, it’s easy to get overwhelmed by things after an auto accident. Fortunately, the attorneys at Pinder Plotkin are here to help. We’re ready to meet with you and discuss your case during a free initial consultation, and we’ll give you honest and clear advice about your legal options going forward. When you choose us to represent you, we’ll handle every aspect of your case, including dealing with the insurance company and filling out all the necessary paperwork, so you can focus on your recovery. For personal injury claims, our contingent fee policy also ensures that you won’t pay attorney’s fees or expenses unless we achieve a financial recovery for you. Please call us today at (410) 661-9440 or fill out our online contact form to receive a free consultation regarding your case.